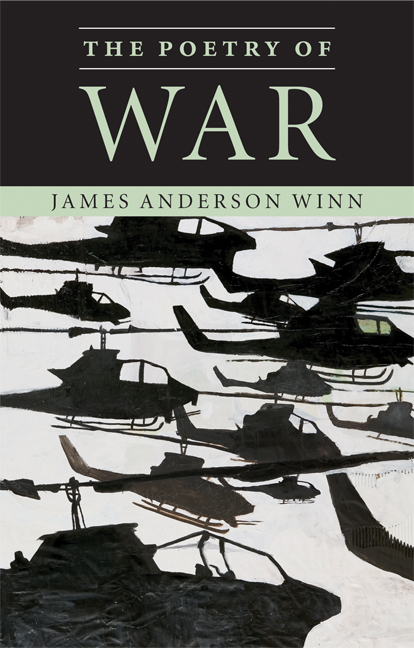 War poets bring an impossible beauty and entirely new perspective to the most awful of subjects. On Wednesdays, we’ll receive a new perspective on these writers. Yesterday’s New York Times ran a front-page story on the writings of American soldiers recently killed in Iraq. The poem opens with a gesture of disbelief and rough rejoicing at having survived. The casualty rate for officers on the Western Front was appalling, so the mere fact that Graves and Sassoon survived makes their friendship more lovely, and constitutes a firmer bond than a pledge or oath. But it is the powerful final stanza that matters. In its formal intensity and compression, it mirrors the emotional intensity and compression of wartime friendships, formed quickly under heavy stress and often ended suddenly by death. By calling the force that binds the two men “the wet bond of blood,” Graves bravely acknowledges the softer aspects of his feelings for Sassoon. A friendship blossoming from mud suggests the conventional motif of the flower that springs from a grave, but it also allows the two males a metaphorical fertility. All of this rich imagery, however, is a prelude to the revelation of the true bonding force: Death. By staring Death in the face, Graves claims, the two men found beauty. From the dead men all around them, they drew breath. Robert Graves, “Two Fusiliers,” in The Complete Poems (Manchester: Carcanet, 1999), I, 37. Wilfred Owen, “Apologia pro Poemate Meo,” in The Complete Poems and Fragments, ed. Jon Stallworthy (London: Chatto & Windus, 1983), 124. Robert Graves, Good-bye to All That, ed. Richard Perceval Graves (Oxford: Berghahn Books, 1995), 248.